OLD PARKED CARS. 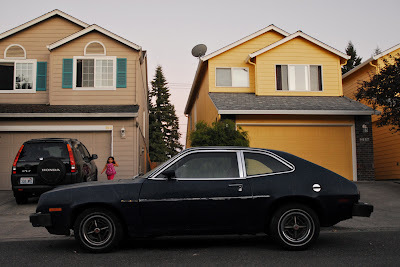 : 1979 Ford Pinto. i'm never surprised to see a primer black pinto, but upon closer inspection, this appears to be the original oxidized paint. wow, and what the heck is that front clip?! never seen that before. 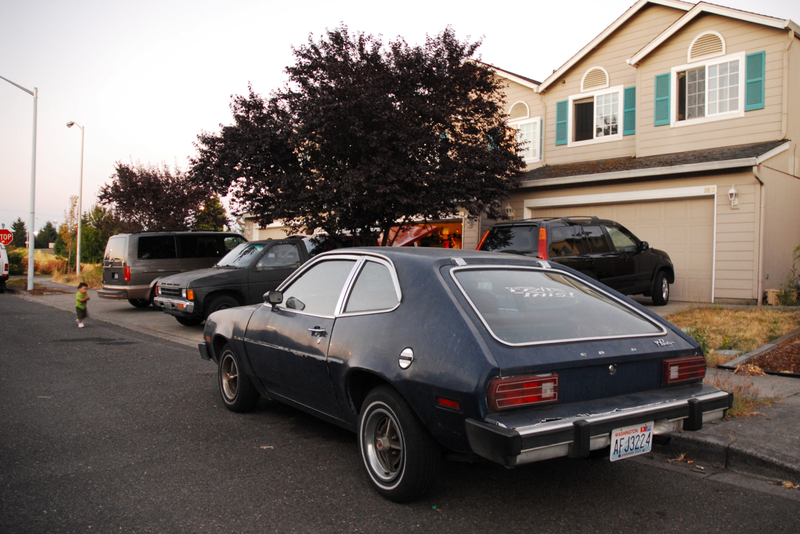 That's the front clip they used on all '79 and '80 Pintos, a style cribbed from the new Fox body '79 Mustang. That front clip seemed so modern and right when it was introuduced, but today I vastly prefer the original front clip. Looks pretty nice for a "disposable" car. Surprised its still rather stock looking,not converted for some motorsports. Yeah, I agree with Jim. 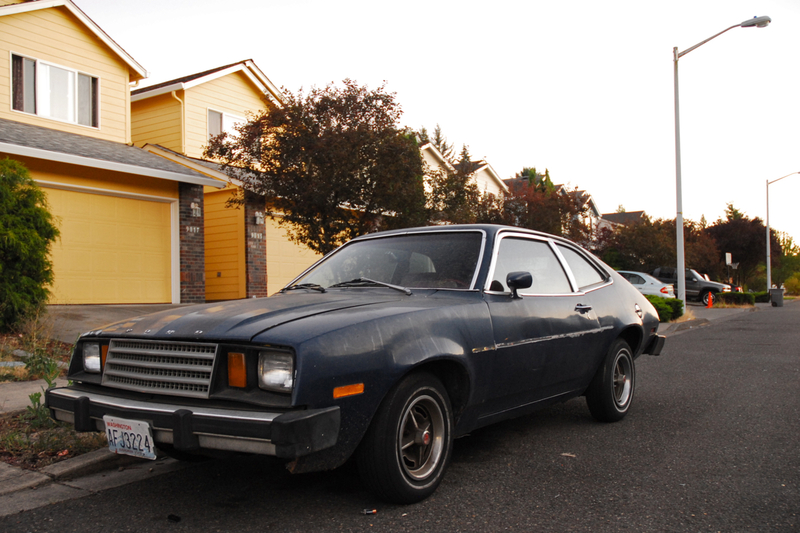 The pre-facelift Pinto front clip looked better. Ford Pinto's Swan song, the 19 79–80 models. I have to admit I like the front end on these cars. I like it better than the 76–78 and the 71–75. My husband had a '79 when we first started dating. It was dark green with a tan interior and 4 speed manual. It was a pretty nice car and quite quick when you pushed it.